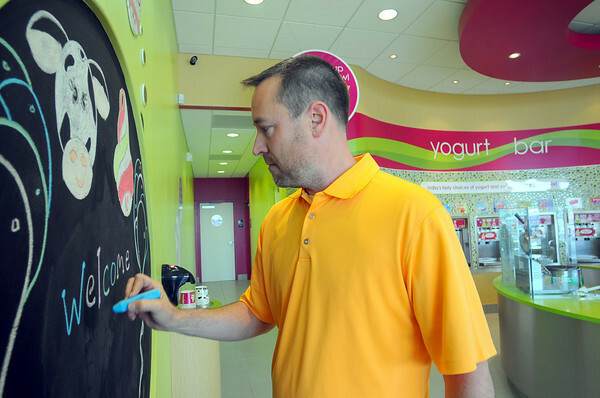 Bright outlook: Trey Miller writes a fresh message on the chalkboard in the Menchie’s frozen yogurt shop in Riverside plaza Monday morning. The franchise is just the third one in Indiana. Customers will build their own treat then have it weighed to determine the purchase price.